My Creative Existence: Masculine Cards! Hi there! I'm back! Seems I went missing from my blog for a month - boy that time went fast! Can't believe it's been so long between posts! I've been busy with one crafty thing or another, not to mention recovering from a nasty case of Tonsillitis, looking after sick kids, and the boring everyday tasks of life! 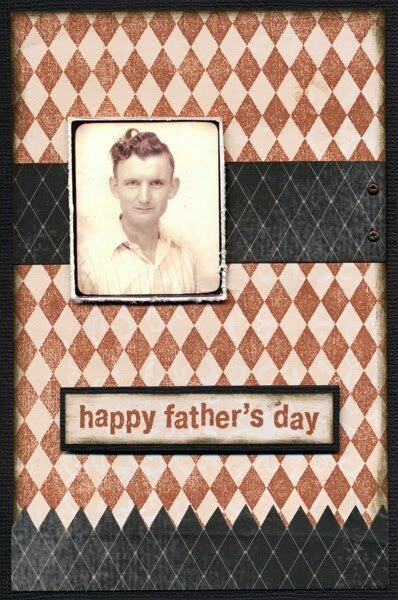 There are 2 "Happy Birthday" cards, and 2 "Happy Father's Day" cards. 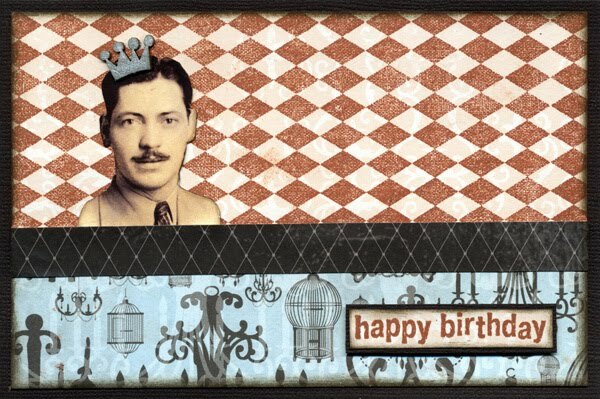 I used patterned papers from Kaisercraft, the Darkroom Door Harlequin Background Stamp, Darkroom Door Gentlemen Photobooth images, and the sentiments come from the Darkroom Door "All Occasions" stamp set - a real must have for your collection. The guy wearing his crown makes me giggle! You can see the other 2 cards close up, and read more about how I made these cards by visiting the Darkroom Door blog here. So - how often do you make masculine cards? One of the things I hear a lot in classes is that people struggle with masculine card designs. These were really easy to make, and lots of fun! So next time you're at your desk, why not make up a few spare cards for the blokes in your life - it's not as hard as you think! You mightn't think so, but they do appreciate the effort! (Well, most of them anyway! LOL! ).